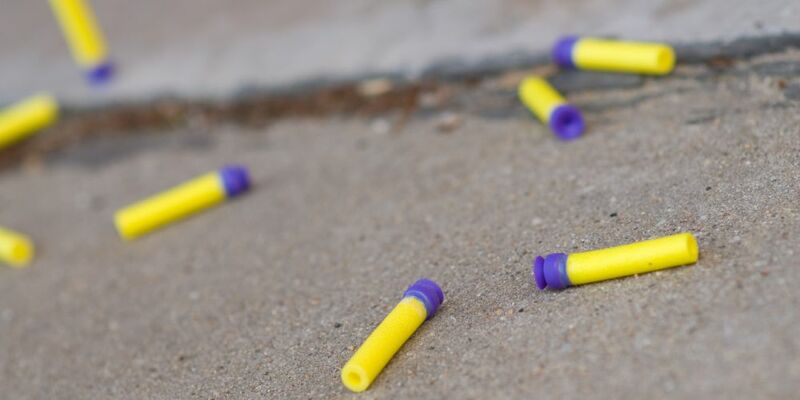 NERF guns are fun until you wind up in court for firing one out of a car window at a fellow motorist. Christopher Ron Grimshaw (23) learned that the hard way when he was fined thousands of dollars in Joondalup Magistrates Court on Friday for shooting foam Nerf projectiles at his friend’s sister while she was driving a car on Marangaroo Drive in Girrawheen on January 21. The act came under the offence of “causing fear with object or substance to people in conveyances”; in other words, using an object to cause fear to someone driving a car. Grimshaw was fined $3500 and ordered to pay $190.85 costs. The court heard Grimshaw was firing Nerf darts at the victim out of a passenger side car window about 9.30pm. One of the darts struck the woman on the hand. The driver of the car, Bradley John Stone, was also accused of shooting a Nerf gun. He next faces court on the same charge as Grimshaw on May 9. Grimshaw said he “thought it was a joke at first”. Magistrate Gregory Benn did not see the funny side of it, telling Grimshaw he was old enough to know better. “It’s the stupidity of the offending,” he said. He told him the maximum penalty for the offence was seven years in jail. The police prosecutor, who pushed for a “significant fine”, said it may have seemed like a joke but it could have led to a serious crash.